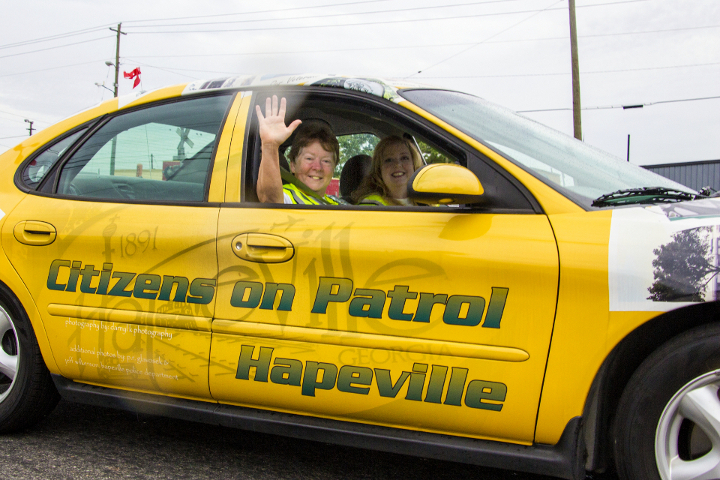 The Citizen Police Academy is designed to provide Hapeville residents, business owners and other city employees with basic information about the police profession and the daily operations of the Hapeville Police Department. Overall, the Citizen’s Police Academy of the Hapeville Police Department strives to establish a unique bond between the public safety entity of the City of Hapeville, and the citizens, which it serves. The Hapeville Police Department is committed to strengthening and solidifying that relationship. The program is a ten (10) week course, which gives a thumbnail overview of the inner workings of law enforcement. Courses include patrol, firearms safety, drug identification and interdiction, officer safety, traffic stops, SWAT, criminal investigations, crime scene processing, and a host of other topics. Applicants must be at least 18 years of age, and a resident, business owner or employee of Hapeville. If you are interested in applying for the Citizen’s Police Academy, complete the application located on the main Hapeville Police Department page (in a tab on the left labeled "Citizens on Patrol Application and Schedule"). Applications may be turned in at the Hapeville Police Department. More information is available by calling Lt. Mark Bradberry at (404) 669-2161. Thank you for your interest in the City of Hapeville Police Department, and the betterment of the community.